TVS Motor Company’s Profit Before Tax (PBT) for the quarter ended December 2018 is Rs. 258.5 Crores as against Rs. 210.4 Crores for the quarter ended December 2017 registering a growth of 22.9%. 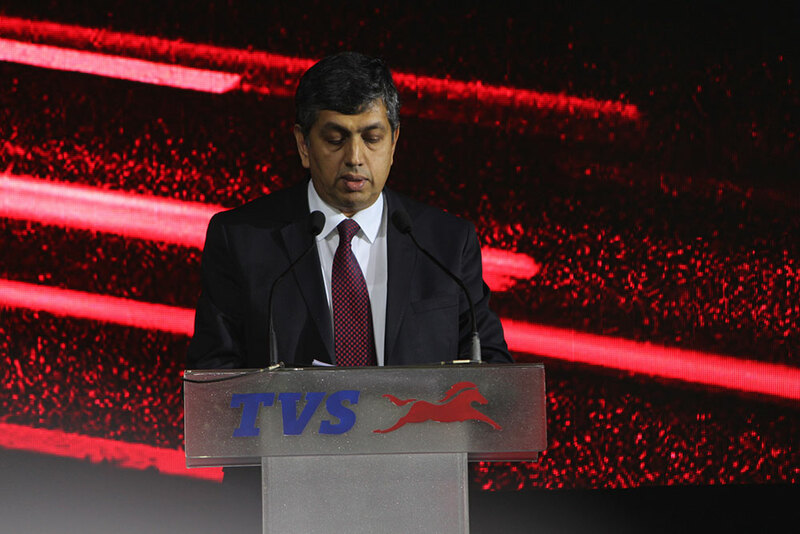 TVS Motor Company reported a revenue growth of 26.0% for the third quarter of FY 2018-19. Total revenue grew to Rs. 4664.6 Crores in the current quarter of 2018-19 from Rs. 3703.1 Crores in the quarter ended December 2017. EBITDA for the quarter ended December 2018 is Rs. 375.7 Crores compared to Rs. 300.5 Crores for the quarter ended December 2017, a growth of 25.0%. EBITDA for the quarter is at 8.1%. The Company’s Profit Before Tax (PBT) for the quarter ended December 2018 is Rs. 258.5 Crores as against Rs. 210.4 Crores for the quarter ended December 2017 registering a growth of 22.9%. Profit After Tax (PAT) for quarter ended December 2018 is Rs. 178.4 Crores against Rs. 154.4 Crores reported for the quarter ended December 2017 registering a growth of 15.5%. During the quarter ended December 2018, the overall two-wheeler sales of the Company including exports grew by 18.9% to 9.50 Lakh units from 7.99 Lakh units in the quarter ended December 2017. Motorcycle sales grew by 20.3% to 3.78 Lakh units in the quarter ended December 2018 from 3.14 Lakh units registered in the quarter ended December 2017. Scooter sales of the Company grew by 31.7% to 3.54 Lakh units in the quarter ended December 2018 from 2.69 Lakh units in the quarter ended December 2017. The total export of the Company grew by 25.8% to 1.77 Lakh units during the quarter ended December 2018 from 1.40 Lakh units in the quarter ended December 2017. Total three wheelers sales grew by 47.0% to 0.40 Lakh units in the quarter ended December 2018 from 0.27 Lakh units in the quarter ended December 2017. In the nine months ended December 2018, revenue excluding Excise Duty / GST, grew by 22.9% to Rs. 13829.9 Crores from Rs. 11257.7 Crores in the period ended December 2017. Profit Before Tax (PBT) for the period ended December 2018 is Rs. 777.0 Crores as against Rs. 686.6 Crores recorded in the nine months ended December 2017, which included notional fair valuation gain of Rs. 68.3 Crores and one time GST discount of Rs. 16.5 Crores. Hence the current nine months period PBT of Rs. 777.0 Crores when compared with operating PBT of Rs. 634.8 Crores for the nine months ended December 2017 after adjusting the above item represents an increase of 22.4 %. Profit After Tax (PAT) for the nine months ended December 2018 is Rs. 536.3 Crores as against Rs. 497.0 Crores registered in the nine months ended December 2017. Operating PAT for the nine months ended December 2017 prior to consideration of fair valuation gains and one-time GST discount (net of tax) is Rs. 459.7 Crores. The growth in operating PAT for nine months ended December 2018 is 16.7%. The total two-wheeler sales of the Company for the nine months ended December 2018 grew by 15.3% to 28.92 Lakh units as against 25.08 Lakh units recorded in the period ended December 2017. Motorcycle sales grew by 17.4% to 11.84 Lakh units in the period ended December 2018 from 10.09 Lakh units registered in the period ended December 2017. Scooter sales grew by 20.5 % in the nine months ended December 2018 to 10.30 Lakh units as against 8.55 Lakh units registered in the nine months ended December 2017. The total exports of the Company increased to 5.50 Lakh units in the nine months ended December 2018 as against 4.13 Lakh units in the nine months ended December 2017 registering a growth of 33.0 %. Total three-wheeler sales for the nine months ended December 2018 grew by 65.9% to 1.15 Lakh units as against 0.69 Lakh units in the nine months ended December 2017.